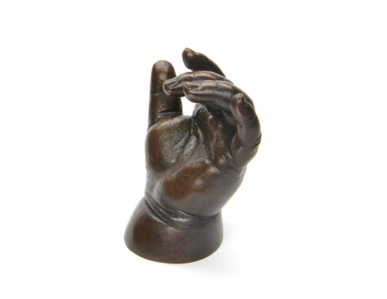 Patinated bronze baby hands displayed on a Cumbrian slate plinth. 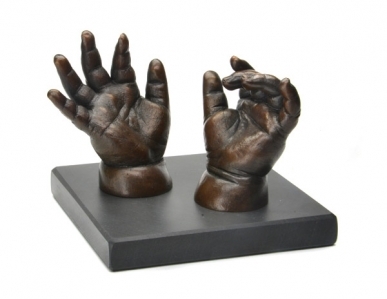 The hands simply rest on the slate base so they can be moved and turned over to create different displays. It also means that you can pick them up and hold them to remind you of how tiny they once were! The slate base can be hand engraved and the hands can also be hand engraved on the smooth side with your choice of text. Please contact us for more information on prices. 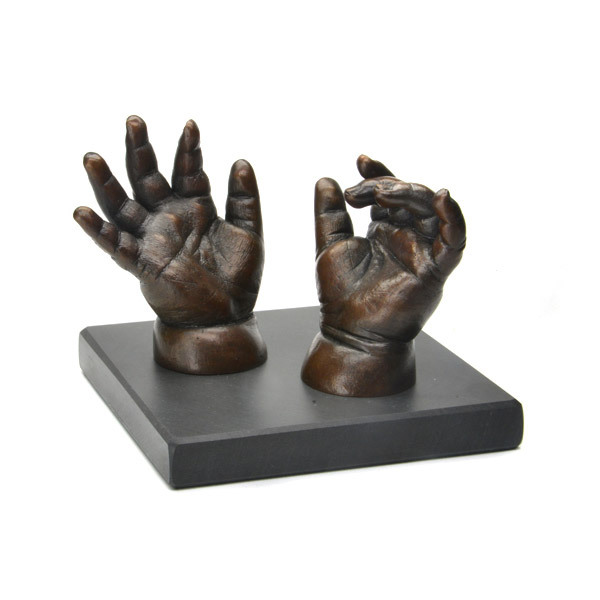 We are happy to accommodate requests for complete sets of hands and feet or single hands or feet – just call to discuss your requirements.